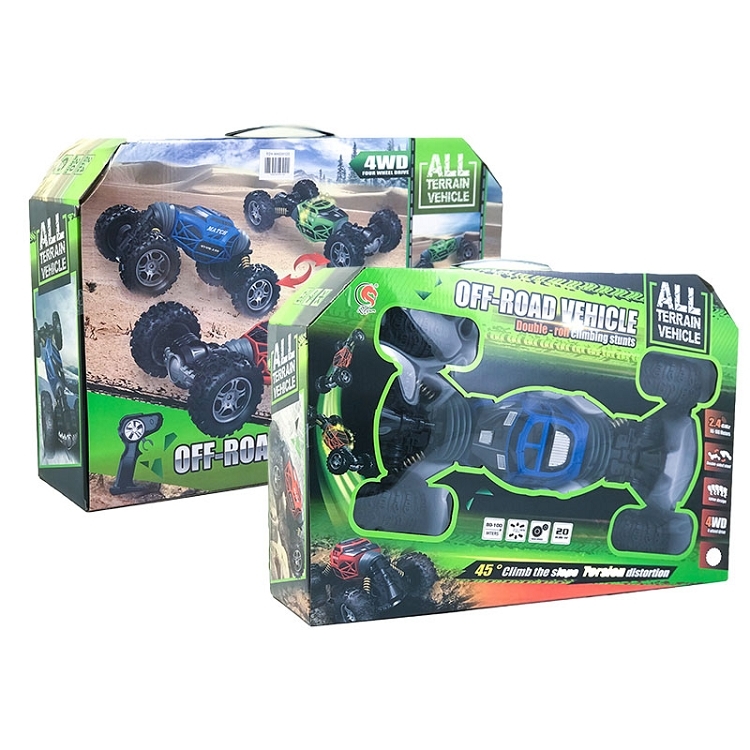 Go off-roading today with the Flipo Transforming Car! Capable of driving on all terrains with its over-sized heavy-duty tires and shock absorption design. Twist and turn the Flipo Transforming Car to avoid almost any obstacle with its featured torsion distortion capabilities. Reaching speeds of 12 MPH and climbing 45-degree slopes the Transforming Car provides endless fun! 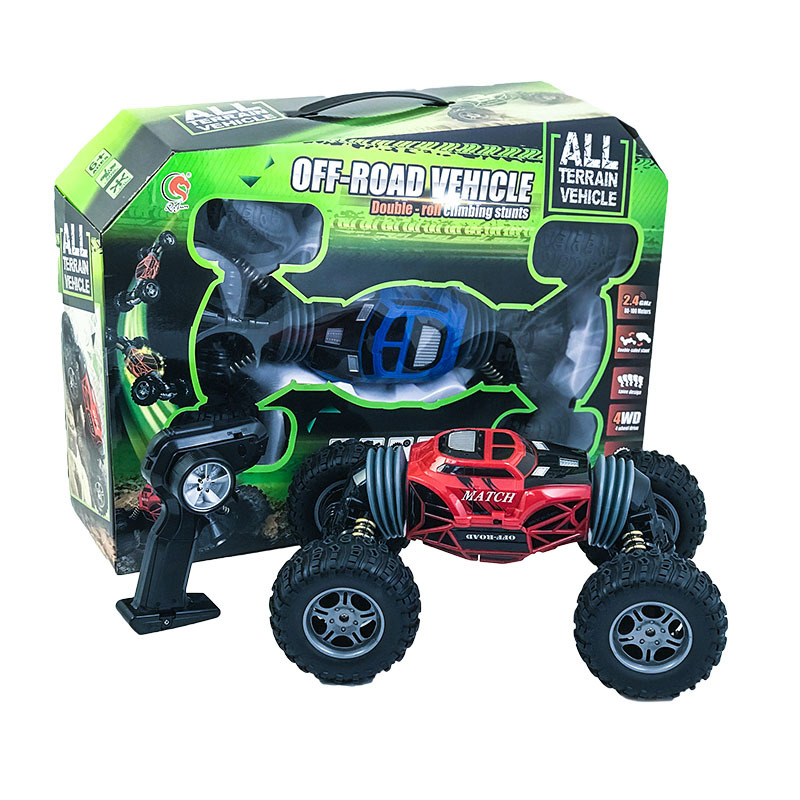 Includes: Flipo Transforming Car, remote control, rechargeable 7.2V battery pack, USB charging cord. 2.4GHz transmitter supporting up to 100 meters of control range. 45-degree slope climbing capabilities with torsion distortion. All-terrain driving capabilities with 4WD, heavy-duty rubber tires, and shock absorption design. Remote control requires 2xAA batteries (not included). Car requires 7.2V battery pack (included).